Born and bred Queenslander. I have lived most of my life on the north side of Brisbane after spending the early years in country Queensland. School education was locally at Nudgee College. My undergraduate study in Optometry was done at QUT and I graduated in 1988. On graduation I began work at Roberts and Alexander Optometrists. As the saying goes, I liked the place so much that in 1996 I became a partner. 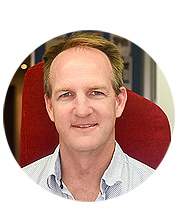 Since graduating, I have completed a fellowship in Behavioural Optometry and developed special interest in children’s vision and learning, vision therapy, contact lenses, orthokeratology and sports vision. Optometry has also given me the opportunity to travel and work overseas with working for an Aide group in India being a highlight. Outside of optometry, sport has kept me fit and healthy which is why there is an interest in sports vision. These days with four children my time to participate in sport is limited to the odd game of golf. Sarah Sweeney was belting out harmonies long before she was a behavioural optometrist. These days, she hasn’t entirely given up singing in front the mirror, but she has extended her skills to include being a mother of two daughters as well as business director of RA Optometrists. 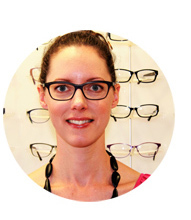 Passionate about her optometry, Sarah is dedicated to connecting with her patients. ‘As a client, you want to feel understood. We are dedicated to providing an experience that empowers you and increases your family’s wellbeing. We have multiple solutions from our flagship Vision Therapy programs, enhancement glasses, contact lenses, ortho-keratology and referrals to our network of health professionals. We create a plan to restore your vision to its best’. Sarah has been honored to build a strong relationship with the local university. Going back to her roots, she has been a guest lecturer and clinical supervisor QUT. ‘It’s fun to reminisce with colleagues and to encourage the students. Optometry has changed a lot since I graduated and it’s a great way to keep in touch’. Sally can’t stay away from Roberts Alexander Optometrists! After working in the northern practices from 2002 to 2009 we welcome her back into the team again. Her time away from Roberts Alexander has included working for private practices both on the Gold Coast and the Darling Downs town of Dalby. Having a love of exercise and keeping fit, Sally has previously enjoyed surfing and participating in triathlons. More recently however, Sally has become a mother to two children and this keeps her busy. 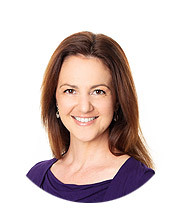 Sally completed her optometry studies in 2000 at QUT and received her Fellowship to the Australasian College of Behavioural Optometry (ACBO) in 2008. She has also previously been a member of the ACBO Fellowship Examination Board alongside Sarah. Working with children and adults to solve their visual concerns and then seeing the positive changes that result are what Sally finds most rewarding about her job.